Throughout the project, our Volunteer Research Group looked into the history of each of The Boys on the Plaque. If you have some information about The Boys on the Plaque that you think might help the group, don’t hesitate to contact us on boysontheplaque@fabrica.org.uk or leave a public reply at the bottom of the page. The Volunteer Research Group were based at Fabrica and Brighton’s Jubilee Library. At Fabrica they used the space to meet regularly and spend time with the plaque in its church environment, whereas at the library the group was able to access physical and online resources. Research brought the commemoration and soldiers’ stories to life, discovering where the soldiers lived and worked in the local community before and following the war, whilst also recognising the cultural and social position of the church in the local community. 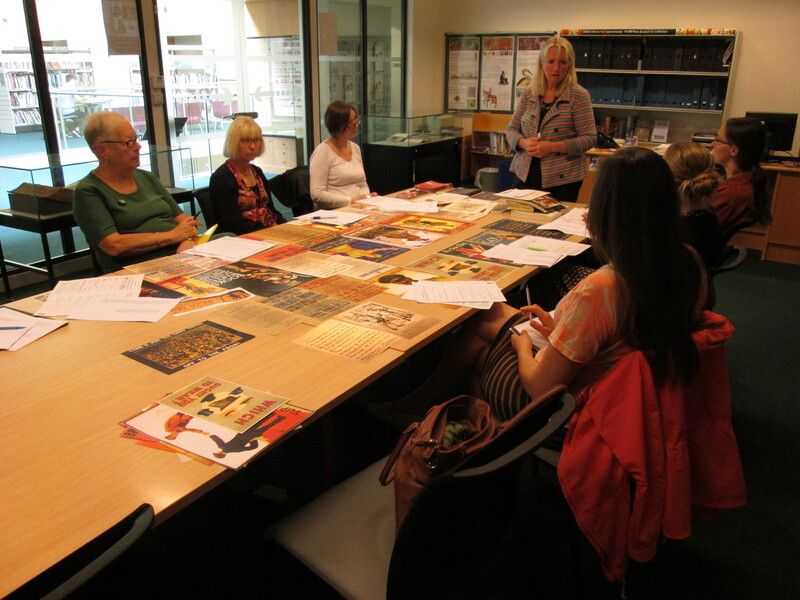 The Group undertook research, training and informal meetings at Brighton’s Jubilee Library and Hove Library. Jubilee Library is a recent addition to the city centre and has become an informal hub for different community groups. Utilising this space encouraged ownership and familiarity of the library and it’s collections. Hove Library opened in 1908 and is a Grade II Listed building with a rich architectural and community history. The Volunteer Researchers received a special talk about the building and a WWI memorial plaque located within the library as part of the project, and have access to Hove Library’s specialist WWI archives. Further research and training carried out at recently opened county archive, The Keep. A purpose built world-class centre for archives, The Keep provides access to all the collections of the East Sussex Record Office, the Royal Pavilion & Museums Local History Collections and the internationally significant University of Sussex Special Collections. It is also a centre of excellence for conservation and preservation and represents the new generation of archive buildings in the UK. Heritage researched at these venues featured in an A5 booklet, for dissemination at the end of the project and available for visitors to each of these venues in the future. Online Resources additionally informs our project. Several websites, projects and online exhibitions have focussed on WWI Centenary in recent months, and volunteers, staff, facilitators and participants were given a comprehensive list of appropriate sites to use as valuable resources for ideas and research. We also accessed the Gateways to the First World War scheme (www.gatewaysfww.org.uk) throughout the project. A centre for public engagement with the Great War centenary, Gateways is funded by the Arts and Humanities Research Council (AHRC) with the aim of encouraging and supporting public interest in WWI through a range of online resources. Their website also profiles relevant events and activities such as open days and study days which provided further research opportunities.